Coping with loss, keeping secrets from friends, and juggling classes has kept Sam Marshall busy in her senior year. 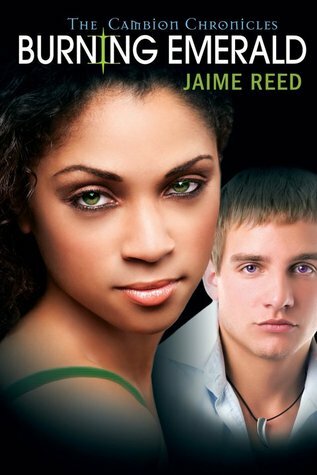 She finds comfort in her unlikely companion, Caleb, as their connection grows to where one cannot survive without the other. But Sam’s biggest problem is a powerful enemy that wants her for himself and to destroy Caleb and his family. Determined to keep Caleb safe, Sam fights a battle where she is both the enemy and the prize, but victory will come at a deadly price. I'm just about finished reading Book 1 in the Cambion Chronicles, and already I absolutely cannot wait for Burning Emerald. All the covers for this series are beautiful and this one might be my favorite! My review for Living Violet will be coming soon, but in the mean time here's a Teaser I posted a couple of weeks ago. So happy you are enjoying Living Violet! I'm looking forward to Burning Emerald as well.